M.Sc in machine learning at Tel-Aviv university. Participated in the Technion Excellence Program: October 2003 – July 2005. Yuval started learning at the Technion after completing 2/3 of a degree at the Open University. Using help from the Program, Yuval was literally able to "proceed from the point at which he stopped" (the faculty recognized all of his prior studies, including many courses the CS faculty do not usually accept). Yuval added some courses to his curriculum from the Physics faculty. Also, at his last year of studies, Yuval took advanced courses and projects in the Machine Learning and A.I areas. 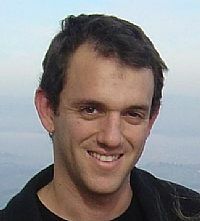 Today (2012): Yuval is working for Google. Recommendation to Program participants: "After a year or so of studies: take the Technion's thick catalog of courses, mark all those you wish to study (either from your faculty or from others as well), find a Professor in the area in which you wish to expertise that you think you will have chemistry with (no one will say no to an email from a student in the Program), consult with him about the best study program for you, and use the Excellence's Program backup to get what you want! Also, try to avoid taking too many courses so you will have time to enjoy them. (if you really feel you must take one more, try doing some as a free listener)".